“Metamorphosis” the ancient healer of all levels of body, mind, and spirit. Cleanses purifies, restructures and renews. Transforms lower energies into higher. Protects against psychic manipulation. Helps heal arthritis, hearing, and bones. Violet is: elegance, sensuality, spirituality, creativity, wealth, royalty, nobility, ceremony, magic, mystery, inspiration, imagination, enlightenment, transformation, cruelty, arrogance, mourning, profanity, exaggeration, confusion. Violet is the color of the Crown Chakra which is associated with the pineal gland, brain and central nervous system. The seventh chakra is located above the head linking individual and universal, matter and spirit. When this chakra is blocked we experience: rigid thinking, depression, alienation, confusion, inability to learn or comprehend, unable to maintain relationships, self denial, needing to be needed, needing sympathy. 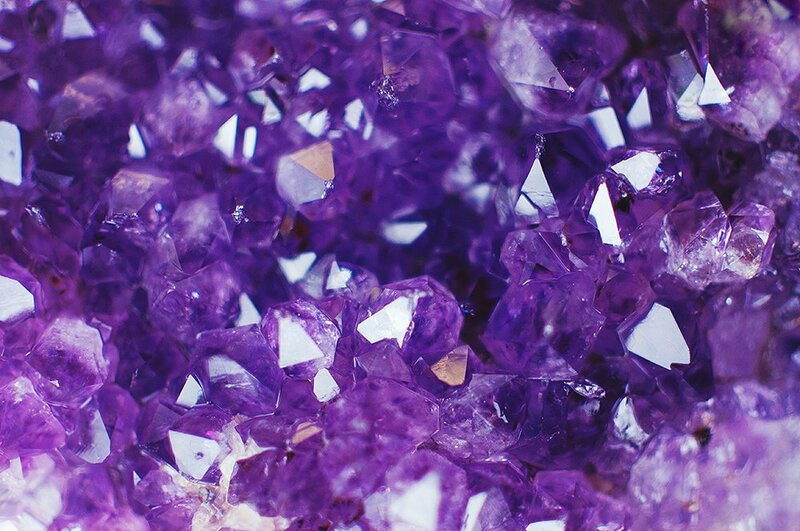 Gemstones are: amethyst, fluorite, lepidolite, sugilite, ametrine and other violet and deep purple gemstones.